Just wondering....is every body in Korea handsome and beautiful ? It's just that I don't watch Korean drama much, only Yong Joon nim's ones and BOF... but recently many people have been urging me to watch East Of Eden....oh boy, it's sad sad sad...and it made me skip lots of parts where there's just a mountain of sadness [do I hear groaning?]. Great acting though, no wonder it won a lot of awards ! And Lee Min Sook's an accomplished actress. 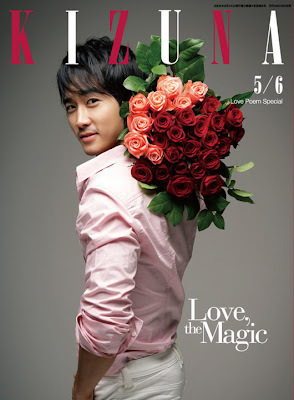 Well....I came out of that drama in a daze....smitten by Song Seung Heon !! Okay, another question...Is every handsome actor in Korea also a singer? Yes, this is the first time I know of him, I like his acting very much and it seems he doesn't act arrogant even though he is so popular and handsome...and a good singer..
No wonder you love him !